Long considered one of the premier golf courses in Kansas City, Deer Creek Golf Club at 133rd and Metcalf in Overland Park can now be joined for $179.99 a month as part of the GreatLIFE Golf & Fitness group. Deer Creek and three other Kansas City area courses are in the GreatLIFE Classic Plus tier – Falcon Ridge, Hillcrest and Prairie Highlands. 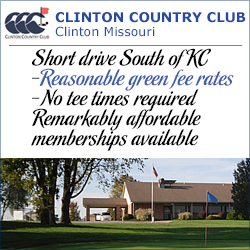 Membership also includes fitness and social privileges, and the ability to play 12 additional courses in Kansas City. “We remain popular as a public play course, but green fees have risen slightly since last year, creating greater incentive to join the GreatLIFE membership,” Fink said. Since it joined GreatLIFE a little more than a year ago, Deer Creek has picked up a steady membership and is shooting for 400 members, after which it could go private. Deer Creek also continues to hold tournaments and other special golf outings, but they will taper off it as goes private. Fink credits course Superintendent Brien Agler and his crew for the shape of the course. “We have some of the best golf course conditions anywhere,” Fink said. “The conditions are consistent, from hole to hole and every day of the week. 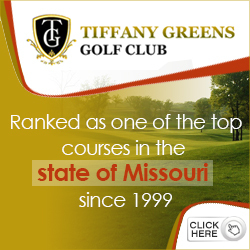 That is something we are proud of.” Agler came to Deer Creek this year from Indian Hills Country Club in Mission Hills. Miles Tucker is the Assistant General Manager and Club Professional who oversees golf operations. Deer Creek, designed by famed architect Robert Trent Jones Jr., has ranked as one of the most varied and challenging layouts in Kansas City since it opened in 1989. “It’s one of the better locations in town, no doubt about that.” Fink said. Many of the holes are lined with trees or creeks. Bunkers guard most of the greens. The course undulates but not severely, and the layout is pleasing to the eye, with visible landing areas from tees and fairways. 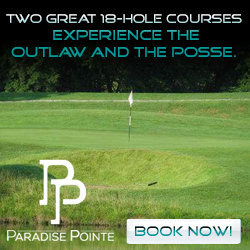 It can play tight in places and allow big hitters to swing away on other holes. 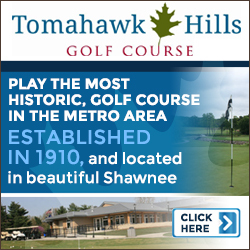 That variety is what makes it a top choice among golfers across Kansas City. And the fun starts right away on the first hole, a sharp dogleg left that plays along the backside of the clubhouse before turning up the hill to an elevated green. Big hitters can cut the corner, although the typical play is straight away from the tee box to set up an approach shot from the corner. The second is pretty wide open, but a long tee shot can reach the pond that lies to the right of the green, setting up another risk-reward decision from the tee box. And so the rest of the round goes, with no single way to play each hole and decisions dictated by the conditions and your confidence. The course is 6,800 yards from the back tees, but other tees make each hole playable for all skill levels. Deer Creek is a well-populated area with mature trees and a lot of homes around the course, although most are well out of play (for most) and positioned out of the typical line of fire. Off the course, Deer Creek is known for its spacious clubhouse, and scenic views overlooking holes 9, 10, and 18. When it’s not being used by golfers, the clubhouse is busy hosting more than 300 special events, most notably weddings and receptions. For more information about Deer Creek and the GreatLIFE membership program, or to book a tee time, call 913-681-3100 or visit www.deercreekgc.com. By the way, the folks at Deer Creek asked us to pass this along: Mention this article and receive your first month for free!